Rediff.com » Business » Does it make sense for anyone to buy Air India? With a debt of several thousand crore rupees, there’s no chance the government can attract any buyer unless it cleans up the balance sheet, says Anjuli Bhargava. With the Tata’s new chairman stating that the Tata’s would look closely at Air India’s sale (and that it makes no sense for them to be in two airline ventures with 15-20 aircraft each), there has been much discussion on how Air India would stack up for the Tata’s or for any other buyer for that matter. If the government thinks it can keep one foot in the door and continue to enjoy some of the privileges of running an airline, it can forget about the whole thing. To make the sale a success, it has to be sold lock, stock and barrel. What can the government do to make the Air India sale a success? There’s a list of steps Centre for Asia-Pacific Aviation's Kapil Kaul recently put together, one that most people in the aviation industry agree with. To start with, the government must clean up the airline’s balance sheet. With a debt of several thousand crore rupees -- one that’s piled up not just for aircraft purchase but for day-to-day running of the airline -- there’s no chance the government can attract any buyer unless it cleans up the accumulated debt. No one in his right mind is going to take over the airline and pay for its past sins and mistakes. Equally important is a 100 per cent exit. If the government hopes or thinks it can keep one foot in the door and continue to enjoy some of the privileges of running an airline, it can forget about the whole thing. To make the sale a success, it has to be sold lock, stock and barrel. Then, to get any real value out of it, it needs to be bought by someone who understands the business. Therefore, it would make sense for the government to allow foreign players -- and airlines who have experience in buying and turning around carriers -- to bid for it. Moreover, for any kind of synergies to be exploited and for the value to be extracted, the government must offer it as one integrated international and domestic network. Now if all this is done, many in the aviation sector argue that there is great value in Air India. 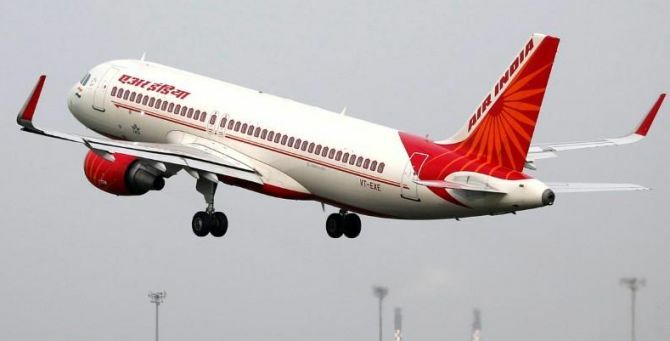 It is their contention that Air India -- despite its mixed fleet -- has coveted slots, bilateral entitlements, valuable real estate, a well-known brand name and it will add tremendous value to any buyer's portfolio. They also point out that in an era of likely forthcoming shortages of skilled manpower, anyone should be thankful to have Air India’s hugely skilled pilot base and trained crew. Air India’s engineers have years of invaluable experience and are acclaimed as highly competent and skilled at what they do. Here’s a company whose employees have over the years become its own worst enemies. In two decades of flying the airline, I have often met crew that exudes “warmth” that airlines like Lufthansa and British Airways can't even fathom. Senior Air India crew may be portly but, I have often found, are far more concerned about the passenger's well-being. But despite all this somehow I am not convinced of this great value everyone sees in Air India. There are two fundamental problems that I see with the carrier. One, the airline merged in 2008 but has continued to operate all these years as “us” and “them”. There has been no merger in the heads of employees who continue to refer to the two carriers as “IA” and “AI”. With the older staff -- be it pilots, crew or ground staff -- this distinction remains quite clear cut. Two, while there may be many individuals who do try and deliver their best, there is an underlying unhappiness and discontent that comes with being a public sector employee for as long as they have. Whenever I have met a large or medium-sized bunch of employees of the airline, I have always been struck by how “negative” they are, many stuck in the job more out of compulsion than choice. Those who could actually find a good alternative have in fact left the airline rather than remain unhappily in it for so long. If Air India could be sold without all its employees, I’d be far more upbeat about the chances of success and about its inherent value. To my mind here’s a company whose employees have over the years become its own worst enemies.